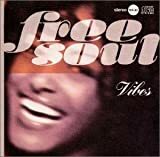 I mentioned a compilation series called “Free Soul” before. A song titled “Jolie” is contained in an album “Vibes”. The introduction is somewhat stirring your mind and soon it is followed by a really catchy phrase played by brass section, then a soulful male vocalist begins to sing emotionally. The singer is Latimore, but the original song was sung by Al Kooper. 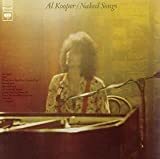 I have an image that Al Kooper is a blues singer rather than a soul singer. He played Hammond organ and worked together with many guitarist. Al Kooper played the phrase, which was played by brass section in the cover version, with the Hammond organ. The original version has a cool, subdued atmosphere for me, but the cover version by Latimore is so emotional that I feel it’s almost unrefined and he persistently repeat “Jolie, Jolie” so many times that it somehow makes me smile. It’s a song that I can’t get enough of.